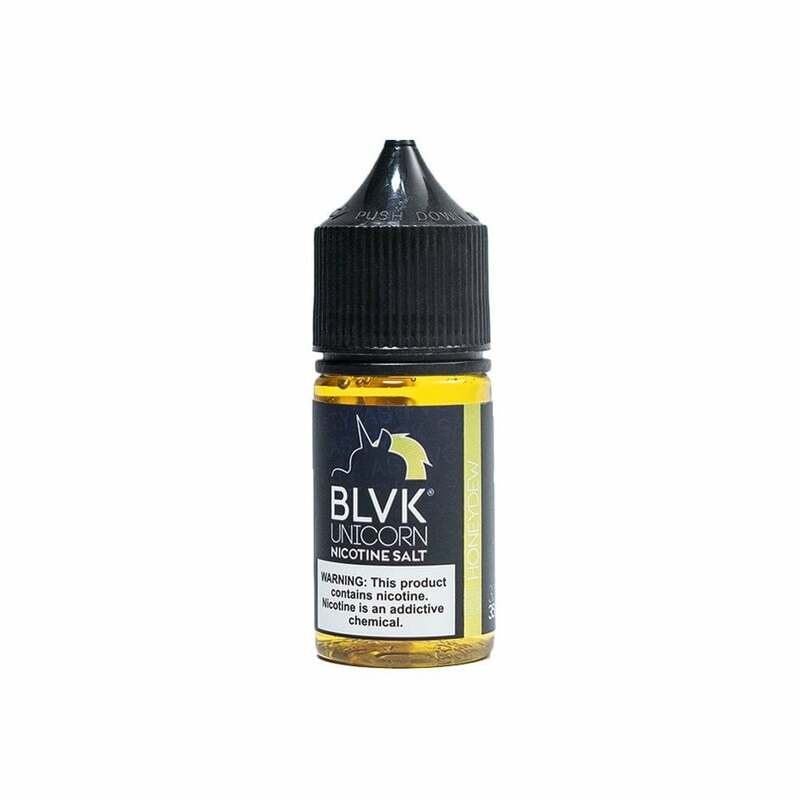 Crisp honeydew melon chunks are combined with a luscious burst of mixed berries for a compelling flavor melange in Honeydew nicotine salt vape juice by BLVK Unicorn. Enjoy the uplifting sensation of biting into a cool, juicy honeydew melon on a hot summer day. Quench your thirst for fruit flavor with BLVK Unicorn Honeydew. This is really bad, slightest hint of melon but more like cucumber. Weird taste all around. Tried letting it breathe and sitting for a few weeks and did not help. Not even worth 1 star. Wish i can give negative star..Stay away of this brand and this flavor. I ordered HONEYDEW 50ML NIC SALT JUICE and i tried with JUUL & SMOK NOVO vaping, all you feel is burn smell and no flavor. Your throat will be hit with Nicotine only without any flavor. Please do not throw your money on this brand and this flavor. Wish there is a way to return this product. I have tried other brand Honeydew flavor and they are way better than this...!! I advise Electric Tabacconist to blacklist this product to save people's money. I just wrote a review on a different Honeydew nic salt juice. I don’t think you can go wrong with honeydew. This nic salt juice brings the flavor & isn’t bland. It brings that lovely sweet dew flavor that we all love. The first bottle I got was really good, maybe a little too sweet. I re-ordered and the new bottle has very little flavor except a vague sweetness and strange aftertaste. Let it sit for a week and tried again, no change. Must be an off batch. This nic salt is terrible. No flavor at all, basically tastes like vaping non flavored glycerin. Poor quality, almost seemed like it was a knock off since the label was printed so poorly. Love ET but this one had to go in the trash, it was that bad. My absolute favorite so far! !